For an autonomous territory that is protected diplomatically or militarily against third parties by a stronger state or entity, see Protectorate. 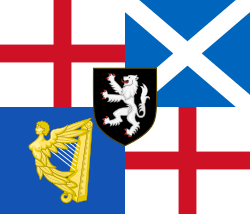 The Protectorate was the period during the Commonwealth (or, to monarchists, the Interregnum) when England (which at that time included Wales), Ireland and Scotland were governed by a Lord Protector. 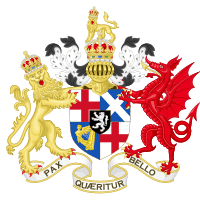 The Protectorate began in 1653 when, following the dissolution of the Rump Parliament and then Barebone's Parliament, Oliver Cromwell was appointed Lord Protector of the Commonwealth under the terms of the Instrument of Government. 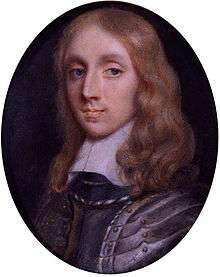 In 1659 the Protectorate Parliament was dissolved by the Committee of Safety as Richard Cromwell, who had succeeded his father as Lord Protector, was unable to keep control of the Parliament and the Army. This marked the end of the Protectorate and the start of a second period of rule by the Rump Parliament as the legislature and the Council of State as the executive. 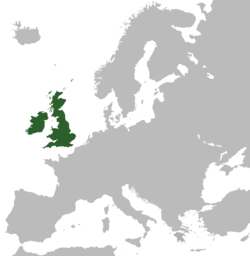 Since 1649 and prior to the Protectorate, England, Ireland and later Scotland had been governed as a republic by the Council of State and the Rump Parliament. 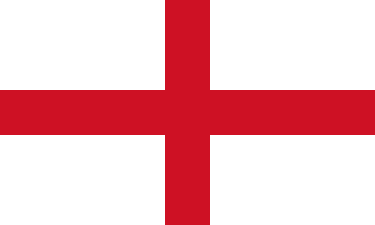 The Act declaring England to be a Commonwealth, which established England, together with "all the Dominions and Territoryes thereunto belonging", as a republic, had been passed on 19 May 1649, following the trial and execution of Charles I in January of that year. All of Ireland came under the same governance (after the successful Cromwellian conquest of Ireland) with the appointment of a Parliamentary military governor in Dublin. Scotland was invaded, subjugated and placed under an English military governor first appointed in 1651. 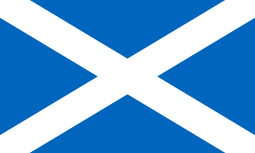 The process of placing the governance of Scotland on a more long term constitutional footing began shortly after the defeat of the Scottish Royalists and Charles II at the Battle of Worcester. On 28 October 1651 the English Rump Parliament passed a declaration for union of the English and Scottish parliaments, but the process was not completed until an Act of Union was passed on 26 June 1657 (See Tender of Union). On 20 April 1653, after learning that Parliament was attempting to stay in session despite an agreement to dissolve, and having failed to come up with a working constitution, Cromwell, with the backing of the Grandees in the Army Council, marched soldiers into the debating chamber and forcibly ended the Rump's session. Within a month of the Rump's dismissal, Oliver Cromwell on the advice of Thomas Harrison and with the support of other officers in the Army, sent a request to Congregational churches in every county to nominate those they considered fit to take part in the new government. On 4 July a Nominated Assembly, nicknamed the "Assembly of Saints" or Barebone's Parliament (named after one of its members), took on the role of more traditional English Parliaments. However it proved just as difficult for the Grandees to control and was in addition a subject of popular ridicule, so on 8 December 1653 MPs who supported Cromwell engineered its end by passing a dissolution motion at a time of day when the house usually had few members in attendance. Those who refused to recognise the motion were forcibly ejected by soldiers. The collapse of the radical consensus which had spawned the Nominated Assembly led to the Grandees passing the Instrument of Government in the Council of State which paved the way for the Protectorate. After the dissolution of the Barebones Parliament, John Lambert put forward a new constitution known as the Instrument of Government, closely modelled on the Heads of Proposals. It made Cromwell Lord Protector for life to undertake “the chief magistracy and the administration of government”. He had the power to call and dissolve Parliaments but obliged under the Instrument to seek the majority vote of the Council of State. However, Cromwell's power was also buttressed by his continuing popularity among the army, which he had built up during the civil wars, and which he subsequently prudently guarded. Cromwell was sworn in as Lord Protector on 16 December 1653. The first Protectorate parliament met on 3 September 1654, and after some initial gestures approving appointments previously made by Cromwell, began to work on a moderate programme of constitutional reform. Rather than opposing Parliament’s bill, Cromwell dissolved them on 22 January 1655. After a royalist uprising led by Sir John Penruddock, Cromwell (influenced by Lambert) divided England into military districts ruled by Army Major-Generals who answered only to him. The fifteen major generals and deputy major generals—called "godly governors"—were central not only to national security, but Cromwell's moral crusade. The generals supervised militia forces and security commissions, collected taxes and ensured support for the government in the English and Welsh provinces. Commissioners for securing the peace of the commonwealth were appointed to work with them in every county. While a few of these commissioners were career politicians, most were zealous puritans who welcomed the major-generals with open arms and embraced their work with enthusiasm. However, the major-generals lasted less than a year. Many feared they threatened their reform efforts and authority. Their position was further harmed by a tax proposal by Major General John Desborough to provide financial backing for their work, which the second Protectorate parliament—instated in September 1656—voted down for fear of a permanent military state. Ultimately, however, Cromwell's failure to support his men, sacrificing them to his opponents, caused their demise. Their activities between November 1655 and September 1656 had, however, reopened the wounds of the 1640s and deepened antipathies to the regime. During this period Oliver Cromwell also faced challenges in foreign policy. The First Anglo-Dutch War which had broken out in 1652, against the Dutch Republic, was eventually won by Admiral Robert Blake in 1654. Having negotiated peace with the Dutch, Cromwell then proceeded to engage the Spanish in warfare, through his Western Design. This involved secret preparations for an attack on the Spanish colonies in the Caribbean. This resulted in the invasion of Jamaica, which then became an English colony. The Lord Protector became aware of the contribution the Jewish community made to the economic success of Holland, now England's leading commercial rival. It was this—allied to Cromwell's toleration of private worship of non-puritans—that led to his encouraging Jews to return to England, 350 years after their banishment by Edward I, in the hope that they would help speed up the recovery of the country after the disruption of the Civil Wars. In 1657, Oliver Cromwell was offered the crown by Parliament as part of a revised constitutional settlement, presenting him with a dilemma, since he had been instrumental in abolishing the monarchy. Cromwell agonised for six weeks over the offer. He was attracted by the prospect of stability it held out, but in a speech on 13 April 1657 he made clear that God's providence had spoken against the office of king: “I would not seek to set up that which Providence hath destroyed and laid in the dust, and I would not build Jericho again”. The reference is to Joshua's curse upon any man who would rebuild Jericho and to its fulfillment in Hiel the Bethelite, who according to 1st Kings 16:34 "laid the foundation thereof in Abiram his firstborn, and set up the gates thereof in his youngest son Segub." Instead, Cromwell was ceremonially re-installed as Lord Protector (with greater powers than had previously been granted him under this title) at Westminster Hall, sitting upon King Edward's Chair which was specially moved from Westminster Abbey for the occasion. The event in part echoed a coronation, utilizing many of its symbols and regalia, such as a purple ermine-lined robe, a sword of justice, a sceptre and an ermine-lined coronet (but not a crown or an orb). However, a crown and orb was present on the lord protector's seal. But, most notably, the office of Lord Protector was still not to become hereditary, though Cromwell was now able to nominate his own successor. Cromwell's new rights and powers were laid out in the Humble Petition and Advice, a legislative instrument which replaced the Instrument of Government. Cromwell himself, however, was at pains to minimise his role, describing himself as a constable or watchman. However, Cromwell "had never gained the willing consent of the nation" and the Protectorate relied on armed force. After Oliver's death in September 1658, his third son Richard Cromwell succeeded as Lord Protector. The impression of strength and durability of the Protectorate when Richard succeeded proved deceptive; a lack of unity would destroy the Protectorate. Richard sought to expand the basis for the Protectorate beyond the army to civilians. He summoned a Parliament in 1659. However, the republicans "condemned Oliver's rule as a period of tyranny and economic depression", and engaged in "endless obstruction and filibustering" and attacked the 'quasi-monarchal' aspects of the Protectorate. Three things undermined the Protectorate: the "anxieties of the army, the irresponsibility of the Parliament and the rashness of Richard Cromwell"; what ultimately prevented the retention of the Protectorate was the opposition of the "junior officers" and "many of the common soldiers". Richard had proved he was unable to manage the Parliament nor control the army. On 7 May a Committee of Safety was formed on the authority of the Rump Parliament, displacing the Protector's Council of State, and was in turn replaced by a new Council of State on 19 May 1659. "Richard was never formally deposed or arrested, but allowed to fade away. The Protectorate was treated as having been from the first a mere usurpation". After a chaotic short revival of the Commonwealth of England, the monarchy was restored in May 1660, after agreeing to the Declaration of Breda, largely through the initiative of General George Monck. ↑ Strong, Frank (1899). "The Causes of Cromwell's West Indian Expedition". The American Historical Review. 4 (2): 228–245. doi:10.2307/1833554. ↑ Harrington, Matthew Craig (2004). ""The Worke Wee May Doe in the World": The Western Design and the Anglo-Spanish Struggle for the Caribbean, 1654-1655". Electronic Theses, Treatises and Dissertations. The Florida State University. Retrieved 21 May 2015. ↑ Hirst 1990, p. 137. ↑ Jones 1978, pp. 113–119. ↑ Hutton 2000, pp. 116–118. Durston, Christopher (1998). "The Fall of Cromwell's Major-Generals". English Historical Review'. 113 (450): 18–37. doi:10.1093/ehr/cxiii.450.18. ISSN 0013-8266. Metcalfe, Walter Charles (1885), A Book of Knights Banneret, Knights of the Bath, and Knights Bachelor made between the fourth year of King Henry VI and the restoration of King Charles II ..., London: Mitchell and Hughes, p. 205 — A list of men knighted by the Lord Protectors.